Miss Doover is teaching Jack's class how to write thank-you notes. Jack knows the perfect recipient: Great-Aunt Gertie, who gave him boring stationery. But the stationery has other uses: it's come in very handy when housebreaking Puddly, Jack's new puppy! 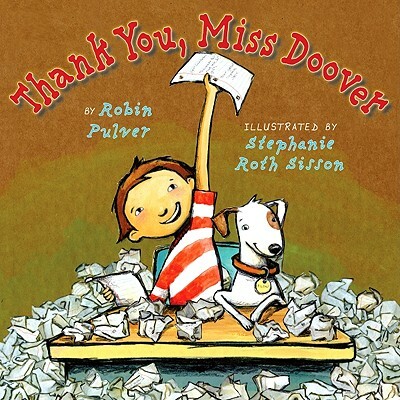 Miss Doover sure has a lot of rules for writing a letter. Jack revises over and over, adding details until Great-Aunt Gertie knows exactly how he's used her special gift. But for some reason his teacher doesn't look too happy. Will his do-over ever impress Miss Doover? Stephanie Roth Sisson has illustrated many picture and chapter books. Kirkus Reviews has praised her artwork as "delightful and emotional."